I am a paranormal romance junkie and HAD to sign up when I saw Herding Cats and Burning Soup‘s Seriously Shifter blog hop. I immediately knew which series I wanted to give away. 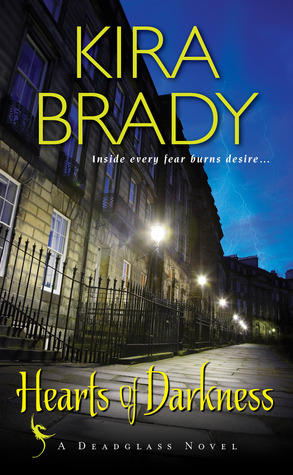 I just finished the last book in Kira Brady’s Deadglass trilogy and LOVED it so much I’m giving all three books away. Also- for shifter fans, we get double the fun. She features two different shifter races. The Drekar (dragons!!!) and the Kivati (lotsa animals!) She also combines Babylonian, Norse and Steampunky elements into magical smexy stories. Good luck and make sure you hop along for more chances to go all Seriously Shifter! Hop away to all the book lovin’ blogs for more prizes! She is betrothed to Seattle’s most feared shifter clan leader. Still, the Lady Lucia can never be the dainty aristocratic wife Emory Corbette thinks he needs. And as a malevolent, all-consuming monster plots to take hold of their shattered world, Lucia will risk her untapped powers to defeat it—and challenge the Raven King’s seductive rule. No one in Emory’s many lifetimes has ever defied him. Lucia’s courage and strength are shaking his iron control to its core…and making him hungry for all she can give. But their only hope is a wrenching sacrifice that could unite humans and shifters in victory—or destroy everything Lucia and Emory desire most. i like dragon shifter .. I love big cats such as panthers; I also love dragons, since I don’t read about them as much. However, I love most shifters – though the cats are my very favorite. It’s a tie between wolves and large felines. I really liked Hearts of Darkness, but I guess I forgot about it since I didn’t follow up with the next two books. Thanks for the reminder! FAV AND WOULD LIKE TO SEE MORE OF IS A CAT SHIFTER! THANKS FOR THE GIVEAWAY! My favorite I think will always be wolves. But Im always excited to read any kind of shifter. I’ve always been a huge fan of dragon shifters but I also love wolf and big cats. Seems the most popular is wolves, I wouldn’t mind seeing more changelings. My favorite shifters are wolves and dragons. Thanks for the fantastic giveaway! Ooh, dragons, definitely dragons. Thanks for the giveaway opportunity. I love wolf shifters! Would like to see more dragon shifters. I love wolves but i really enjoy all shifters! Tigers, dragons, Griffins and gargoyles! I seriously love any kind of shifter…..favorite paranormal creature for sure! I really like big cat shifters and wolf shifters! Thanks for this great giveaway! My favorite shifter animal is wolf. Shifters are awesome! I personally have a love affair with Curran the lion shifter from Kate Daniels. Tigers! (really all big cats). I don’t have a favorite type of shifter. Other than the Sookie Stackhouse and Twilight novels, I cannot recall reading any books with shifters until recently. I am hoping to widen my shifter reading by participating in this hop. I have added Deadglass trilogy to my TBR list. I love shifters of all kinds, but especially dragons and wolves. However, I’m starting to get into big cat shifter — lions, tigers, oh my! I’m a wolf fan but I enjoy all kinds. Previous PostPrevious Book Blitz for The Right Moves by Emma Hart + Excerpt + Contest! 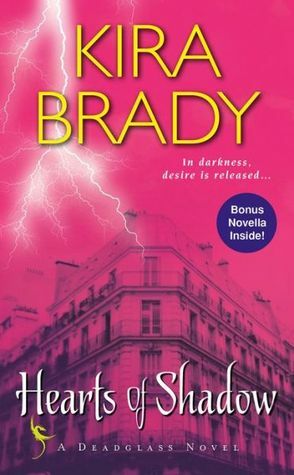 Next PostNext Quickie with Kira Brady + Spotlight on Heart Of Chaos + Contest!